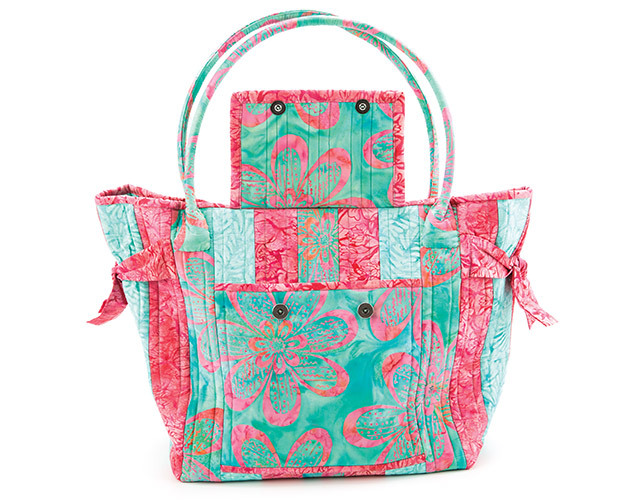 Online Classes Home » Sew » Learn to Sew a Flipped-Out Bag! 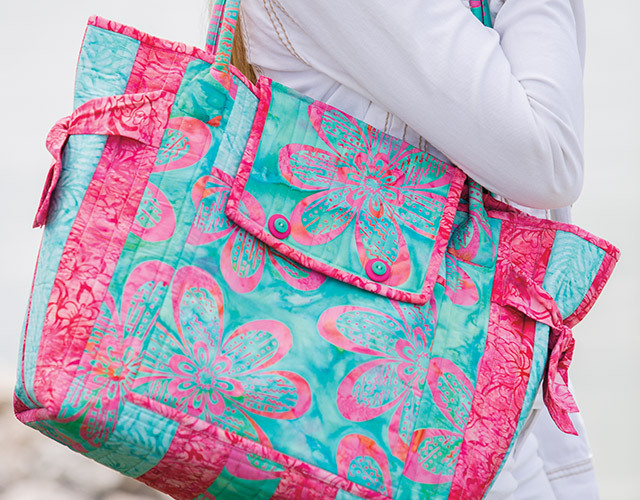 Make an Aunties Two Flipped-Out Bag while learning a creative and fun twist on the traditional stitch-and-flip technique that finishes the inside of the bag at the same time as the outside! 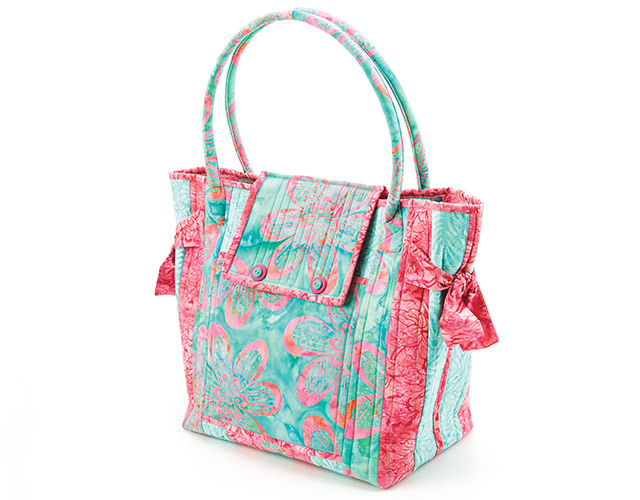 How would you like to create a beautiful, boutique-quality bag in about half the time you'd expect? 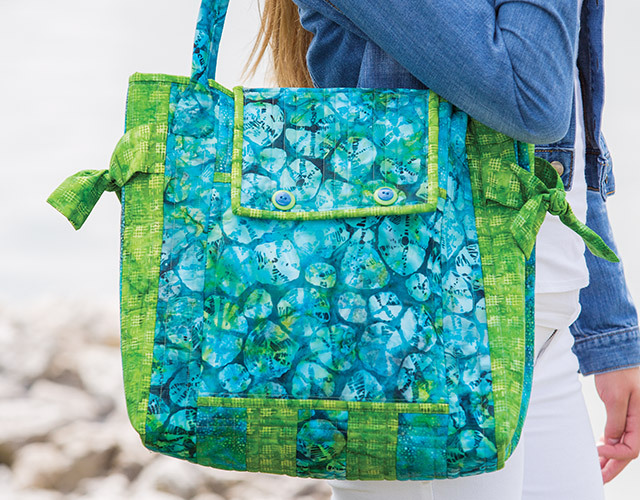 Join Carol McLeod of Aunties Two in this Annie's video class and learn how to create one of her beautiful bags with a unique twist! 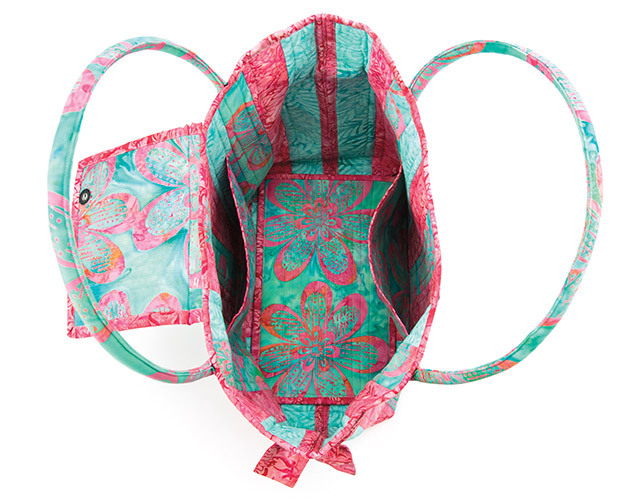 Carol will be your guide as you use the stitch-and-flip technique and finish the inside and outside of your bag at the same time! And, you'll learn many excellent sewing skills useful for other projects! 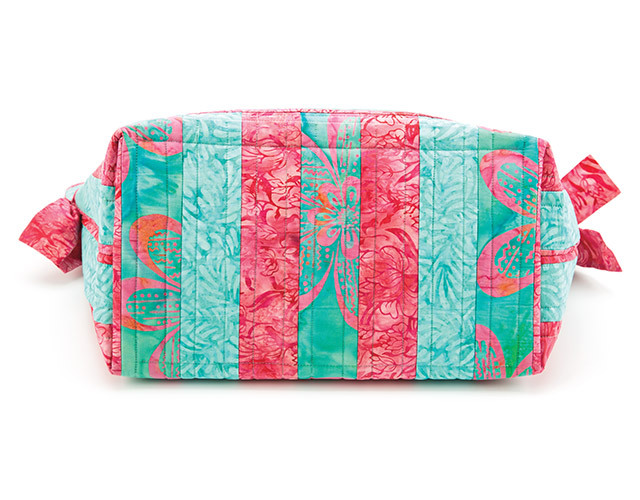 Choose beautiful batik or other fabrics to make the gorgeous Flipped-Out Bag. Use double-sided fusible foam batting to add strength and shape to your bag. Quilt the body of the bag in the ditch and with straight lines to add sturdiness and a decorative look. Finish the inside and the outside of the bag at the same time by using a variation of the stitch-and-flip technique. Add inner and outer lined pockets in one easy step. Attach magnetic closures to secure the pockets. Turn long, skinny fabric tubes inside out with one handy tool. Make sturdy handles reinforced with plumbing tubing that can be used on any bag. This class includes complete step-by-step instructions and materials list for the Flipped-Out Bag. I love the time-saving techniques for this purse. I haven't made this yet. I went to the store and bought the batting needed, but I am not going to use the plumbing tubing, not necessary. I will be using a different kind of handle. The instructions are very well explained, easy to follow. I'm learning to sew and I'm enjoying the class but it would be nice to also learn how to add a zipper to the bag. Very happy to get this class, thanks.